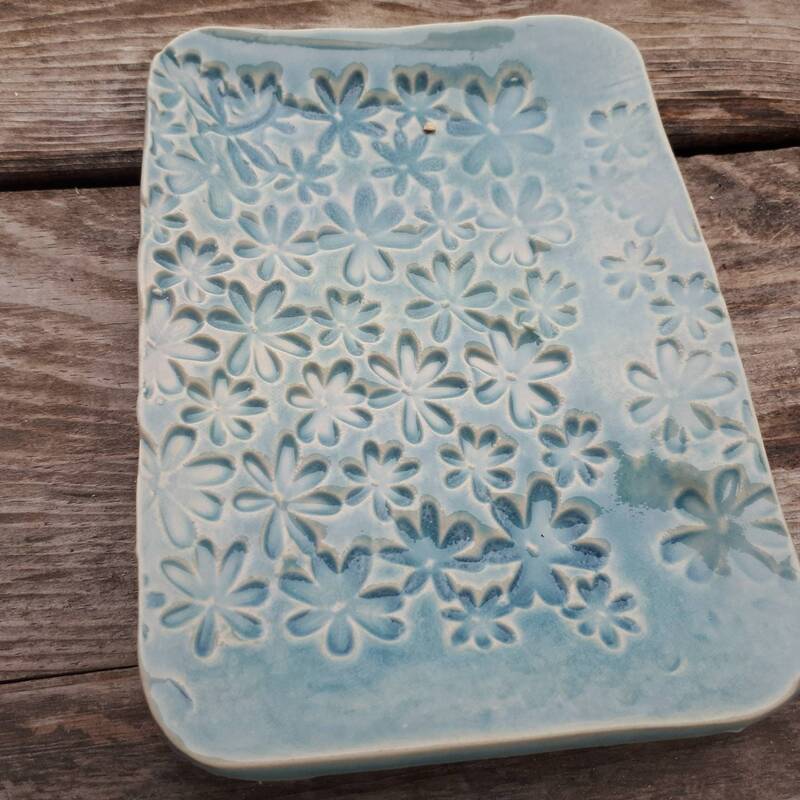 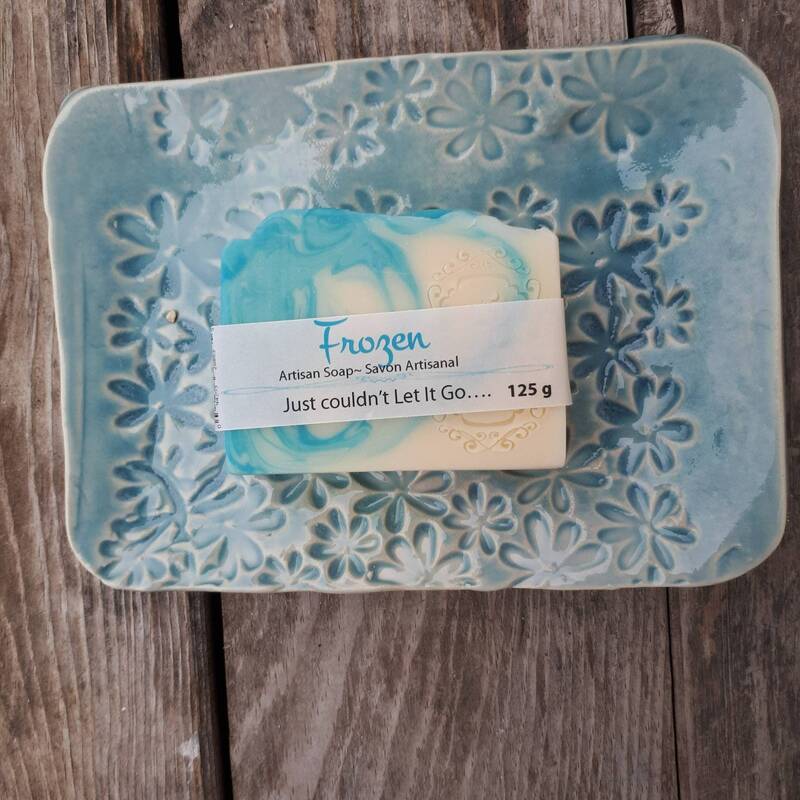 pottery ice blue plate soap dishhandbuilt on daisies pattern blue . 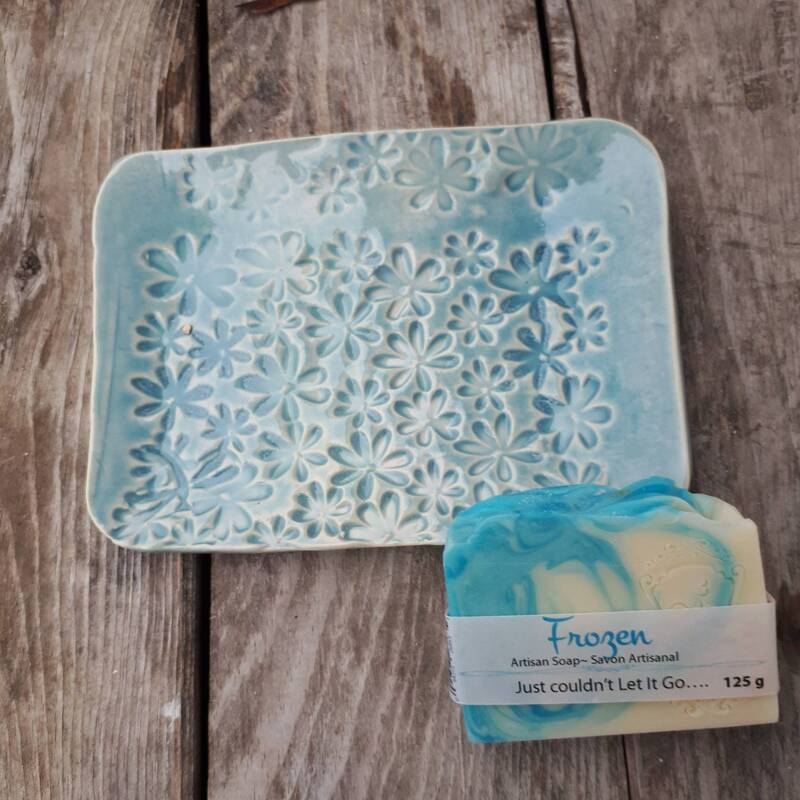 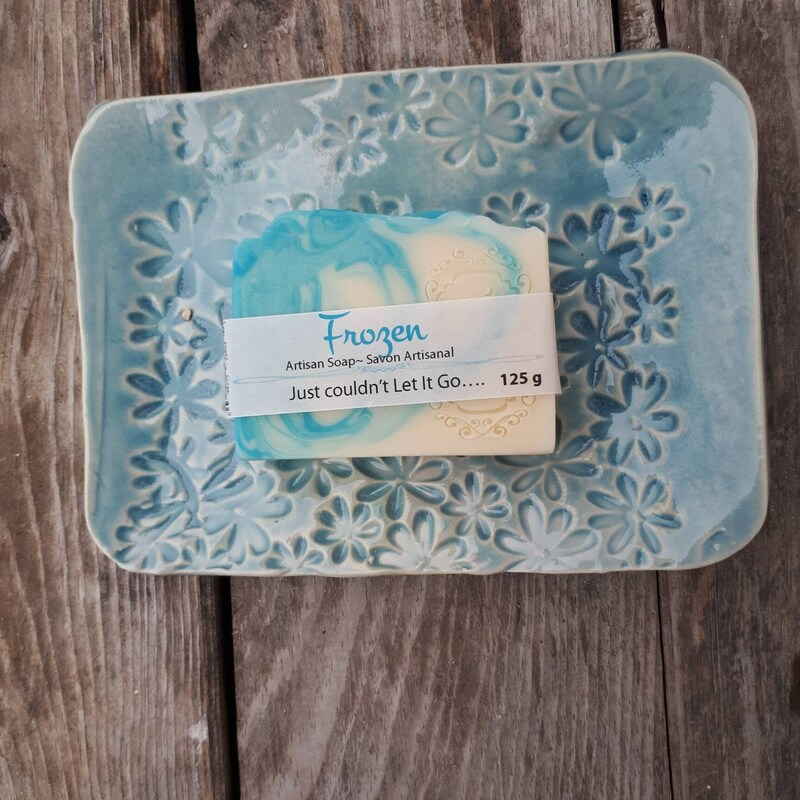 This piece is food safe and microwavable this piece is an easy gift for everyone, could be a great housewarming or hostess gift. 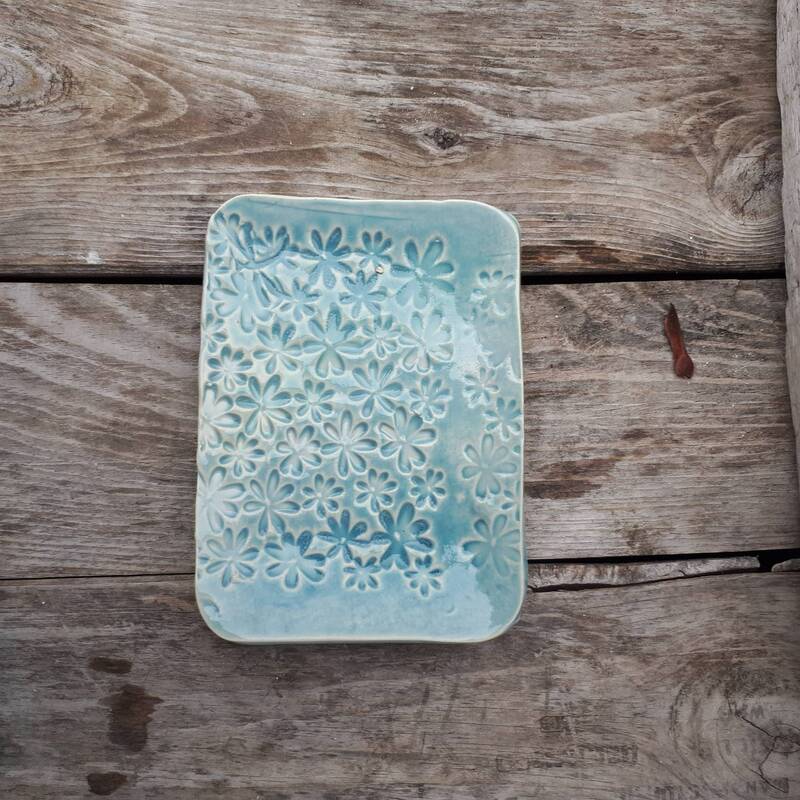 Each piece is made individually by me, in my home studio and fired in my an electric kiln. 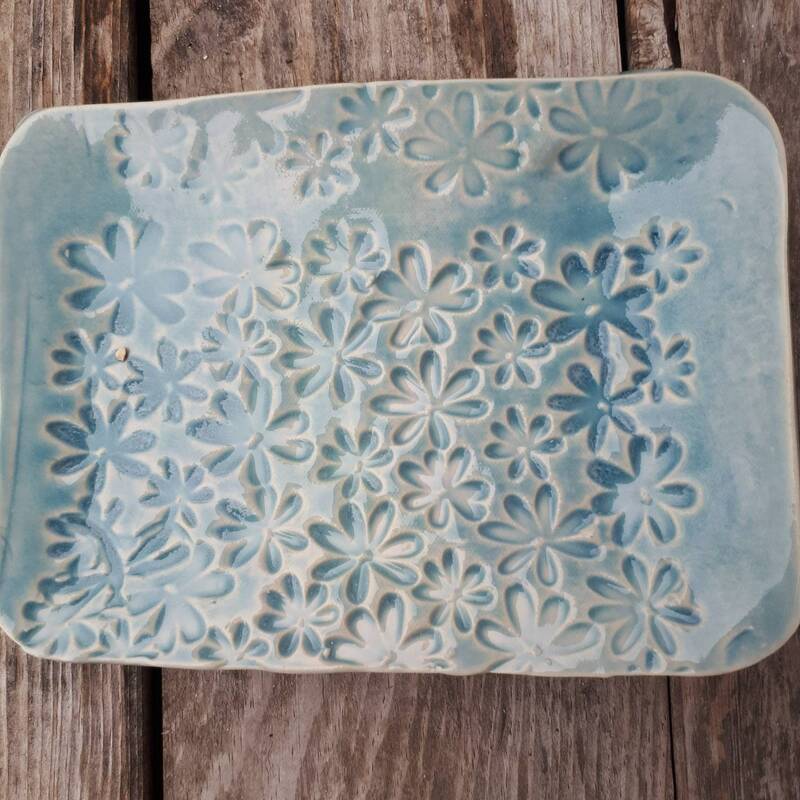 All pottery is dishwasher, oven and microwave safe.